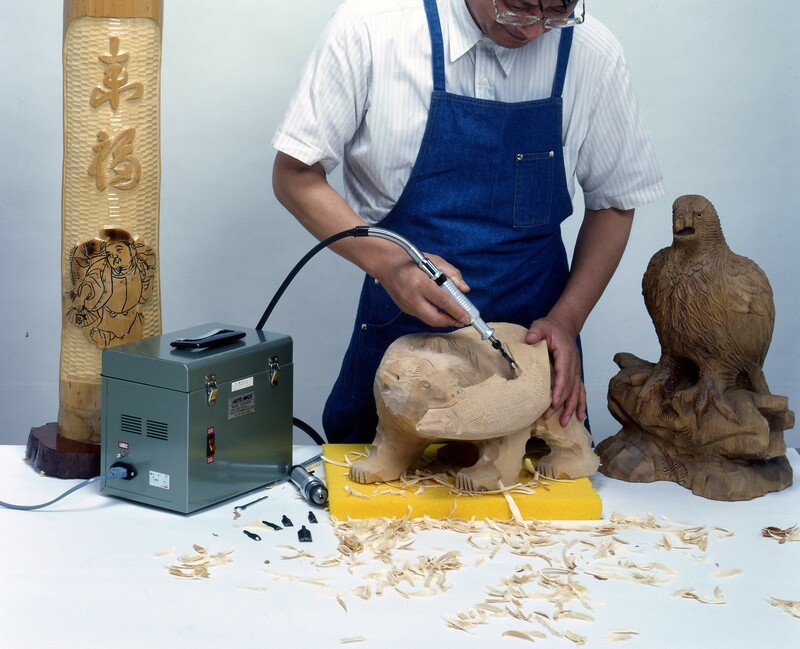 ①You can carve wood with one third of force needed for manual carving and at 3-5 times faster, so that you won't get tired in carving. 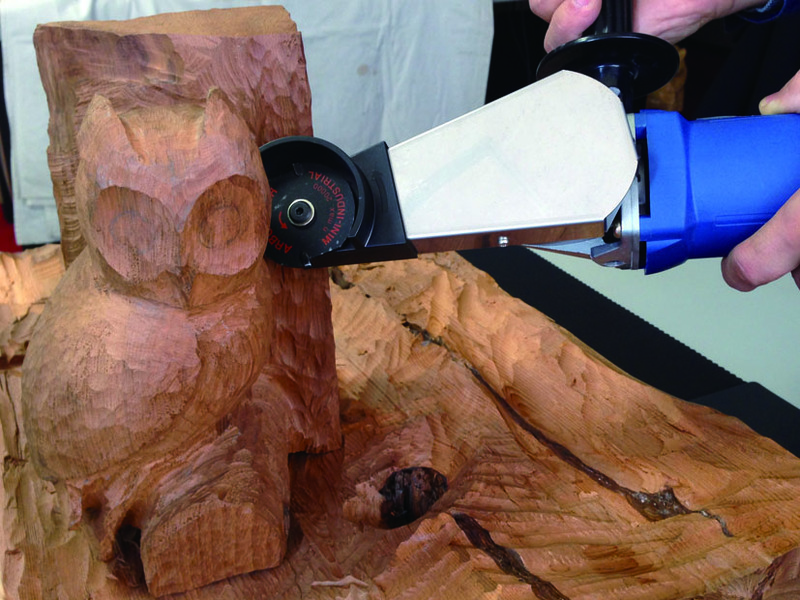 ②You can carve the hardest wood easily and smoothly, because the cutter reciprocates at high speed (12,000s.p.m). 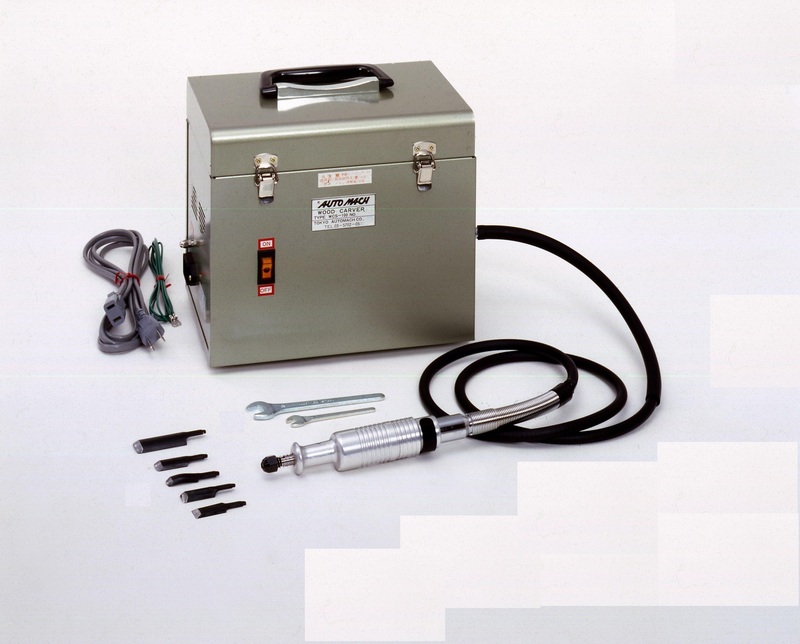 ③The machine uses free floating mechanism,so that its cutter reciprocates only when pressed onto wood. 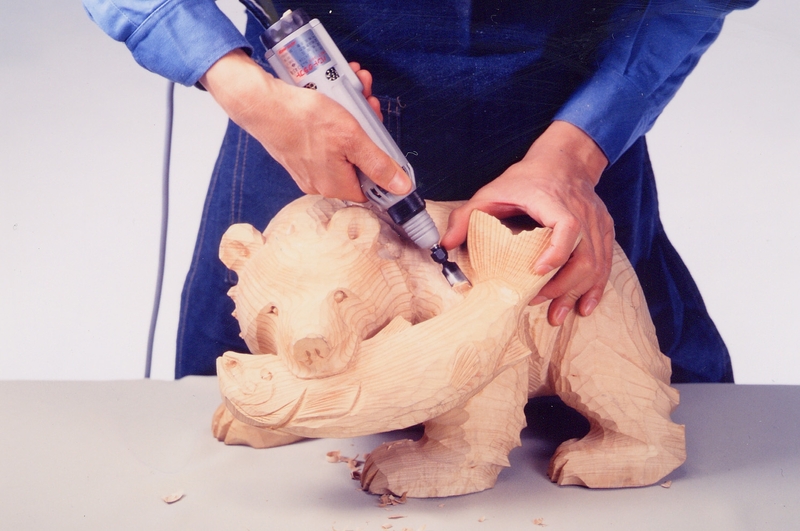 ①You can carve with one third of force at 3-5 times greater speed, when comparing with manual carving, and therefore you won't get tired. 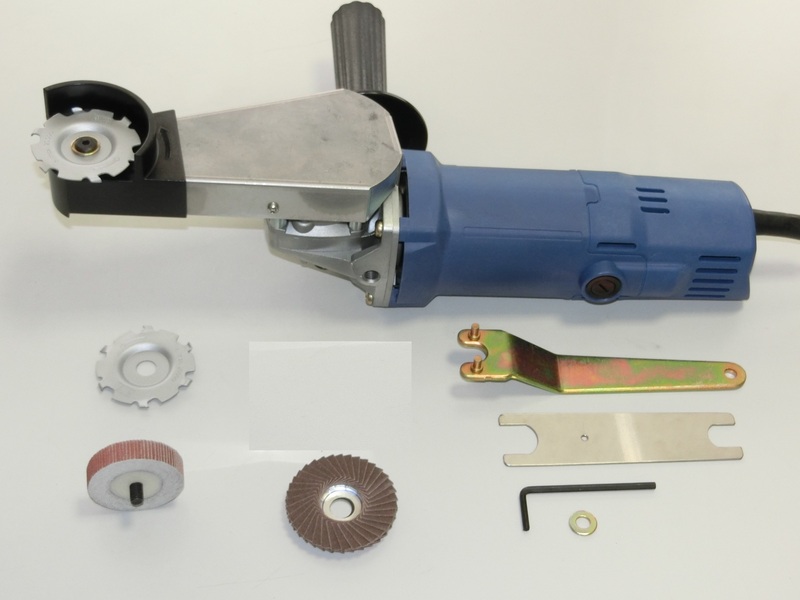 ②The grabbing portion is as small as 30mm in diameter, so that you can handle this tool like a manual carving knife. 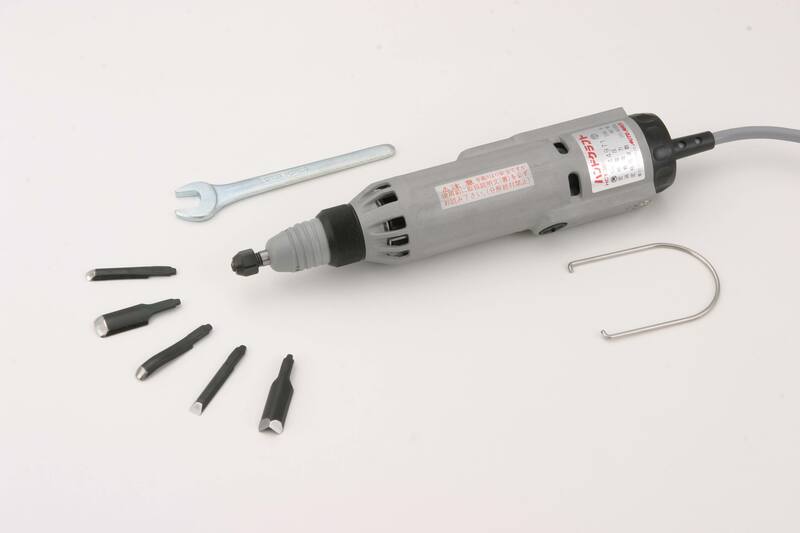 ③The flexible shaft 1.5m(power carrying wire)has become softer and lighter,so that you can use the tool more easily.